If you have celiac disease or gluten sensitivity and had the great fortune of eating a basket of gluten-free fish and chips made in a dedicated gluten-free fryer, cheers to you! It’s not often that we get such a treat. But, please, hold the malt vinegar. Surprised? Vinegar can be a confusing condiment for those avoiding gluten. Some types are gluten-free, while others are not. Many varieties are imported, too, so the label may not offer clear information. What’s a salad lover to do? It helps to know a little bit about how vinegars are produced. The different varieties come from the type of starter ingredients used. These can include grapes for balsamic vinegar; apples for cider vinegar; corn or wheat for distilled vinegar; barley for malt vinegar; rice for rice vinegar; and even honey, molasses and sugarcane for sugar vinegar. No matter which starter is used, the same chemistry applies. The producers add yeast to the base, which ferment it to create alcohol and carbon dioxide. Next, they introduce booze-loving bacteria, which convert the alcohol to acetic acid and other compounds. Finally, they add water to dilute the highly-sour acid mixture into a delightfully tangy brew. If you know what kind of starter is traditionally used for each type of vinegar, it can clue you in on which types are safe to eat. 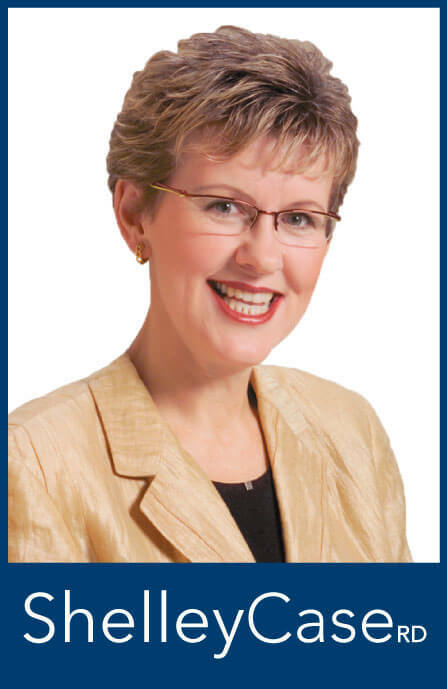 If the base comes from a gluten-containing grain such as wheat or barley, caution is in order. However, the picture is more complex, because, just like for wheat- and rye-based spirits, the distillation process produces a gluten-free end product. This makes distilled vinegars safe for those a gluten-free diet, regardless of the original starter. The challenge can be in knowing whether a vinegar has been distilled, what starter ingredients were used, and whether the vinegar was blended with gluten-containing ingredients later in the process. As always, read your labels carefully. Which Vinegars are Gluten Free? 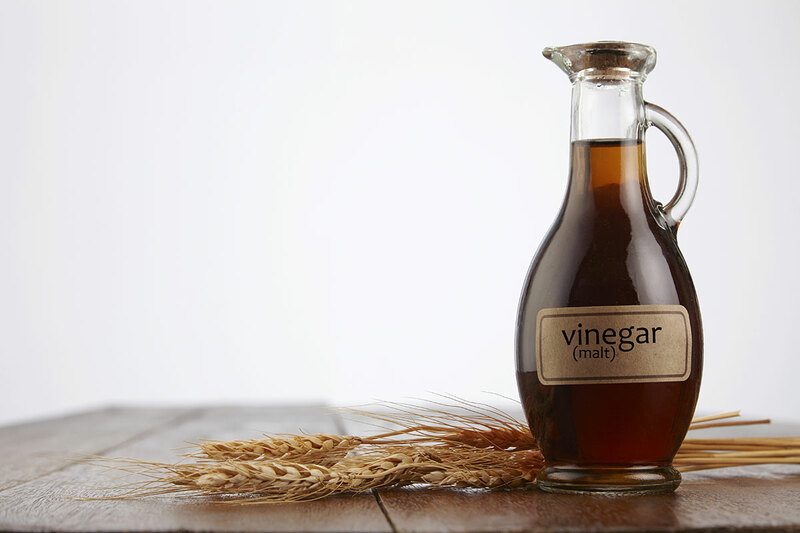 Malt Vinegar: This vinegar is made from malted barley, a gluten-containing grain. It is fermented, but not distilled, so it is never gluten-free. Rice Vinegar: As you would guess, rice vinegar comes from rice. But this is not always the case, especially when imported from Asia, where it may contain a mix of grains. If the vinegar was produced from rice only or has been distilled, it is safe to consume. Otherwise, I advise avoiding it unless the label says it is gluten free. Blended Vinegars: Blended vinegars are a combination of two or more vinegars, often with other ingredients added for flavor. Check the label to make sure the seasonings are gluten free and there is no malt vinegar in the mix. Distilled White Vinegar: This vinegar, also known as “spirit” or “grain” vinegar, is made from corn- or wheat-based alcohol. Luckily, the gluten protein is removed during distillation, so you may enjoy this vinegar freely. Red or White Wine Vinegar: These vinegars are helpfully true to their names. Both are made from wine grapes and are deliciously gluten free. Balsamic Vinegar: This is a traditional Italian vinegar, made from pressed and simmered grape juice and then aged in wooden barrels. In North America, the old-world flavor is often mimicked using less expensive wine vinegar and flavorings like caramel. If you can get your hands on the imported variety, it’s worth it, but, regardless, balsamic is safe to eat! Apple Cider Vinegar: This vinegar is made from the juice of crushed apples and is gluten-free. From salad dressings to delectable balsamic glazes, vinegars, like variety, add spice to life! It’s amazing what time and some friendly bacteria can do. 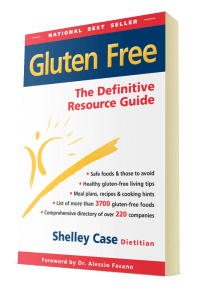 You don’t need to skip vinegar just because you have celiac disease or gluten sensitivity. Just know your varieties, consult your labels, and see how sweet sour can be. Enjoy this high-fiber salad recipe using red wine vinegar courtesy of my dietitian colleague Sharon Palmer, aka The Plant Powered Dietitian™. A meal in one dish — this salad uses naturally gluten-free red wine vinegar. It's delicious served warm or cold and holds up well for a couple of days, making it a perfect lunch to take to work or a party dish for a potluck. Mix together rice, chickpeas, kale and dried cranberries in a large bowl. In a small bowl, mix together lemon juice and zest, red wine vinegar, tahini, ginger, paprika and sea salt and black pepper as desired. Pour dressing over salad and combine very well to distribute all ingredients. Courtesy of Sharon Palmer, RD, aka The Plant Powered Dietitian™. 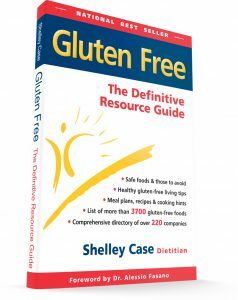 For a detailed look at many food ingredients, order Shelley’s national best-seller: Gluten Free: The Definitive Resource Guide.